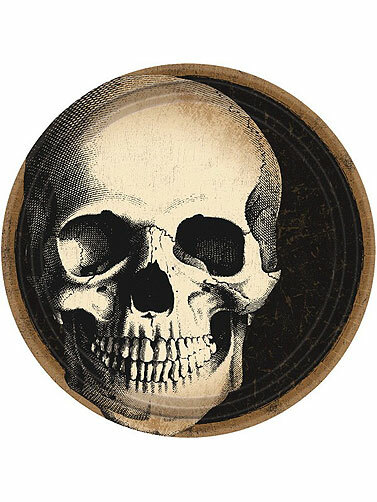 Boneyard Luncheon Plates feature a Black/Brown print with a distressed skull. Big party pack will last throughout the night. Perfect for Halloween and pirate parties. Disposable round paper plates. Boneyard Luncheon Plates measure 9" in diameter. - 60 ct.